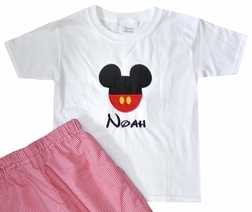 This Mickey Mouse outfit turned out so cute, yet simple! 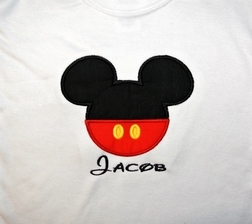 We start with a white shirt and applique it with a Mickey mouse head/ears. 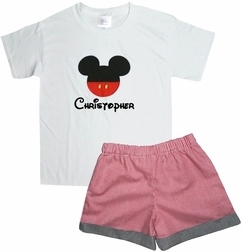 The head is dressed up in Mickey's red shorts with yellow buttons. 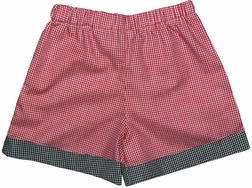 If you choose trousers, they are made from the red gingham and have black gingham cuffs. The trousers have an elastic waist for comfort and better fit. Monogram the shirt for added "cuteness"!